Released Spring 2017 from KPE. Industry first! 32-inch full HD full-surface LCD mounted. The next generation pachislot entertainment experience begins. Deliver an unprecedented best pachislot entertainment experience with overwhelming presence, high-end images, and dramatic thrilling stories and battle! 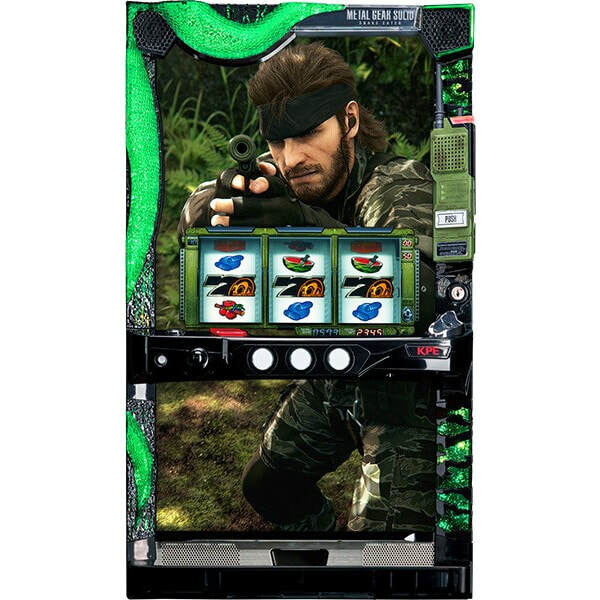 Pachislot "Metal Gear Solid Snake Eater"
Machine is setup as No Coin Needed!! ​AND We got an even better deal on the price! !